Dr. Jaswinder Singh is currently an Associate Professor in the Department of Plant Science, McGill University. After obtaining his M.Sc. degree from Punjab Agricultural University at Ludhiana, India, he earned his Ph.D. from CSIRO Plant Industry in Canberra, Australia. 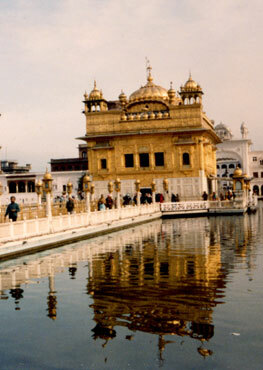 Dr. Singh did his postdoctoral research at the University of California, Berkeley. Dr. Singh’s research contributions are prolific, high-calibre and multi-faceted, blending molecular biology, biochemistry, genetics and plant breeding, and deploying tools of genomics, proteomics and genetic engineering to significantly advance our understanding of basic plant biology with promising socio-economic benefits. The diversity of high impact journals in which his research articles have been published is a testament to this quality and breadth. Highlights of Dr. Singh’s research include the introduction of Ac/Ds transposable element system into barley to make this crop amenable to transposon-mediated insertional mutagenesis; his much talked-about first demonstration of the “re-awakening” of a transposable element following its previous silencing, which is a milestone in our understanding of epigenetic reprogramming during plant development from generation to generation; use of the transposon system to dissect important genes in barley and other cereals, notably the revelation of a novel regulatory switch in the “RNA-dependent DNA methylation” pathway, which controls seed dormancy and pre-harvest sprouting, opening a new area of exploration to increase cereal yields and decrease losses due to excessively humid conditions; most recently, discovery of a thaumatin-like protein that plays a major role in determining the malting quality in barley – a finding of major interest for the brewing industry. Funded generously by a variety of sources, Dr. Singh is an author on 47 original peer-reviewed research papers, including 34 since the start of his independent research position in 2008 at McGill University, 11 peer-reviewed book chapters and conference proceedings, and 81 conference abstracts. He has presented 55 invited talks at high-profile meetings and institutions. Dr. Singh has served on various national and international professional and grant adjudication committees and his research contributions have received widespread media coverage. He is the President Elect of the Canadian Society of Agronomy. Few days ago, the American Society of Plant Biology and the Canadian Society of Plant Biology jointly conducted an annual meeting in Montreal (July 14-18). Around 1700 plant biologists gathered from all over the Globe. 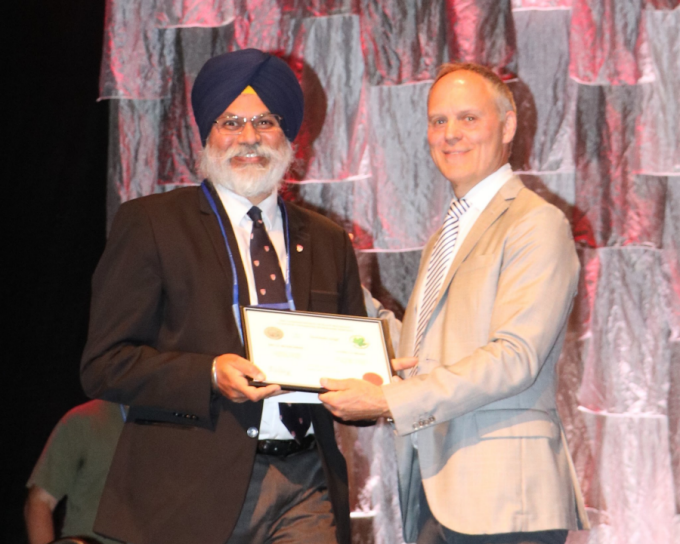 In the award symposium on July 14th, the Canadian Society of Plant Biology honored me with prestigious C.D Nelson award. I am honored and humbled by this recognition and surely credit goes to my team of researchers, collaborators, mentors, family and friends.